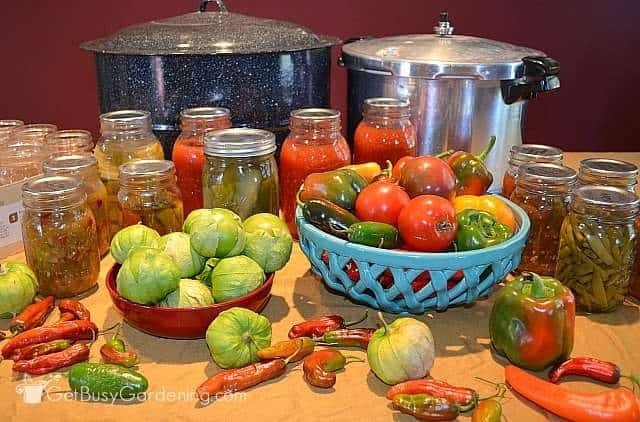 One of the most common requests I get as the garden harvests start rolling in are readers asking for food canning recipes! 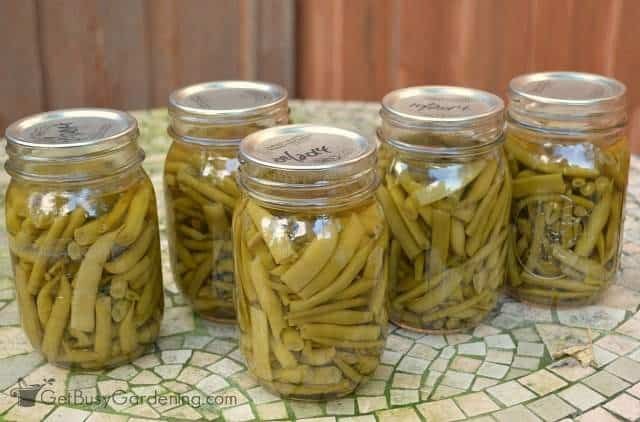 Whether you’re overwhelmed with tomatoes, swimming in cucumbers, or up to your eyeballs with green beans… canning is one of the best ways to preserve the food you grow in the garden. 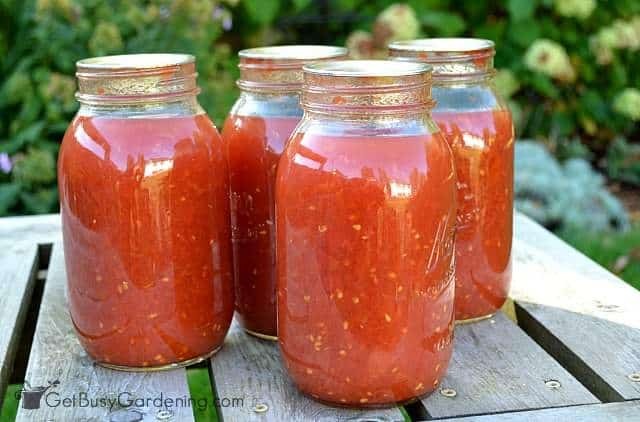 One of the most satisfying things about canning the food you grew in your garden is being able to open a jar of tomatoes from your garden to make spaghetti sauce from scratch. 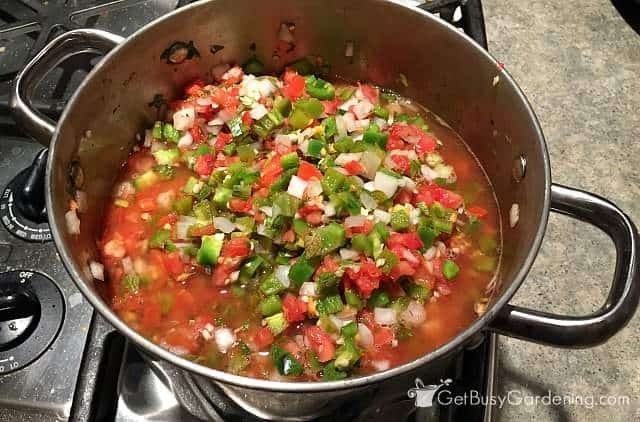 Or cracking open a jar of homemade salsa from the garden in the middle of the winter. Amazing! Home canned vegetables taste so much better than the stuff you buy at the store. 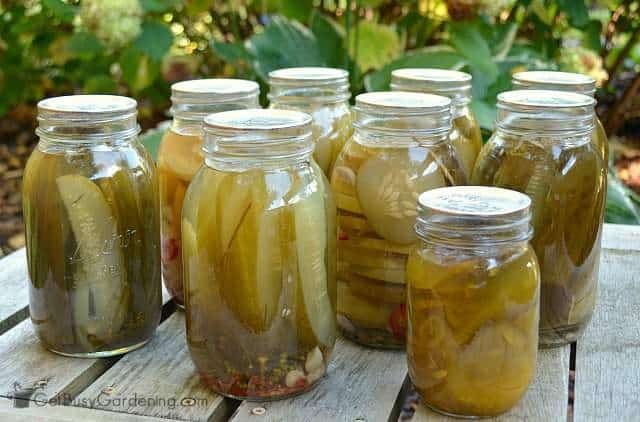 If you’ve been searching for food canning recipes so you can preserve your harvests, I have 24 awesome ones for you to try! I’ve been canning for a few years now, and many of my favorite recipes come from the Ball Blue Book Guide To Preserving. 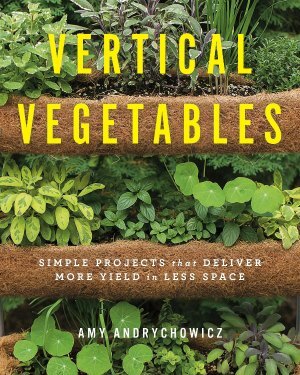 I highly recommend that book, it contains a ton of recipes for all kinds of foods. It’s also nice because it also shows you how to can food. So if you’re a newbie, that’s a great place to start. 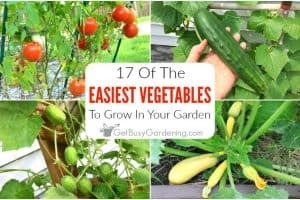 There are also tons of excellent food canning recipes around the web, but searching for good ones can be overwhelming. 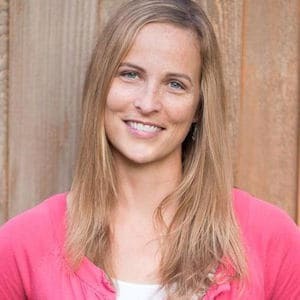 So, below I have collected 24 awesome recipes from some of my favorite bloggers to help you out. I’ve broken my list down into two groups. This first group are recipes for canning vegetables from your garden. 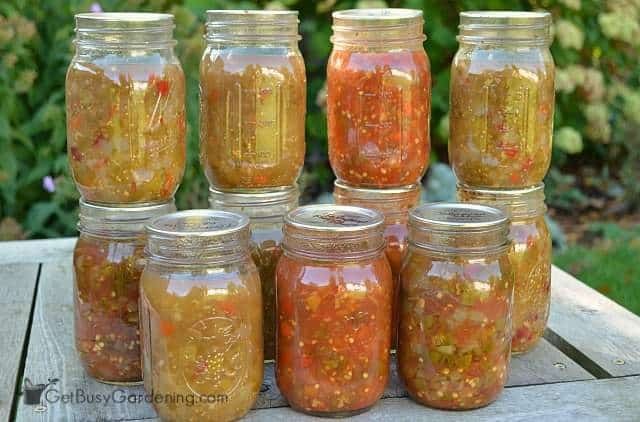 I find that the most common foods that people want canning recipes for are tomatoes, pickles, green beans and (the most common request) salsa canning recipes! Almost every time I post a photo of some of my home canned salsa on social media, someone asks me for the recipe. Well, the great news is that a few of my favorites are posted on the internet – which I’ve shared in the list below (you’ll just have to buy the Ball Blue Book Guide To Preserving to get the rest of them). 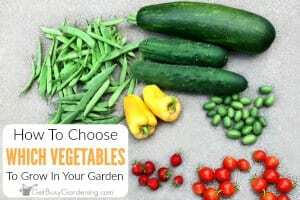 Even though the most common requests I get for food canning recipes are for tomatoes, green beans, pickles and salsa.. there are lots of other vegetables that can be canned – like radishes, carrots, beets and peppers. This next list is recipes for canning fruit. 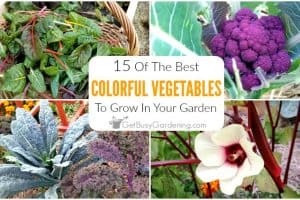 So this list is for you if you’re planning on canning fruit preserves, making canned applesauce, or canning jelly (YUM!). 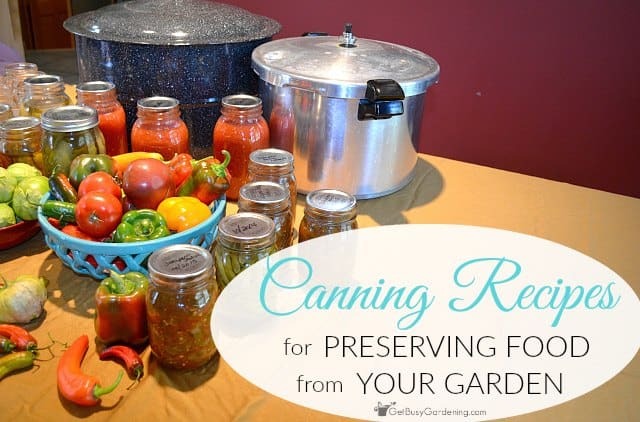 If you want to find more recipes that you can use for canning the food from your garden, then I recommend visiting Fresh Preserving’s website to search for both Ball Canning recipes and Kerr canning recipes. 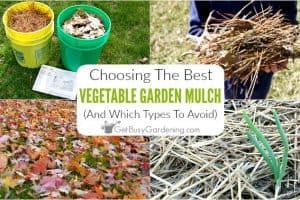 Do you can any food from your garden? 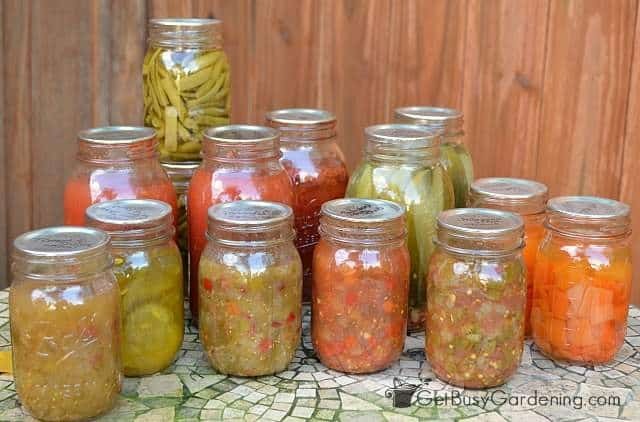 What are some of your favorite food canning recipes? 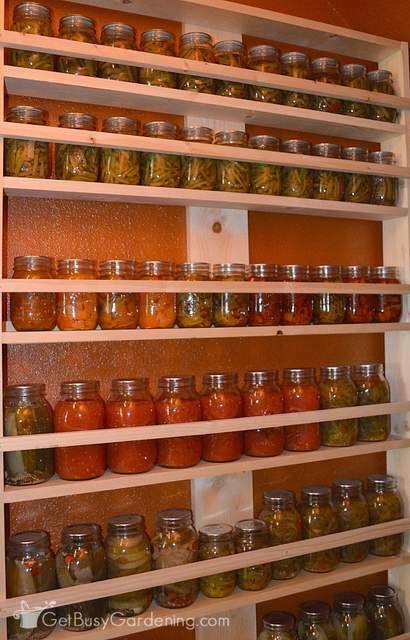 Your pantry full of canned vegetables looks so pretty! I would love to learn how to can food. Thank you for sharing your tips at the #HomeMattersParty this week. Thanks! 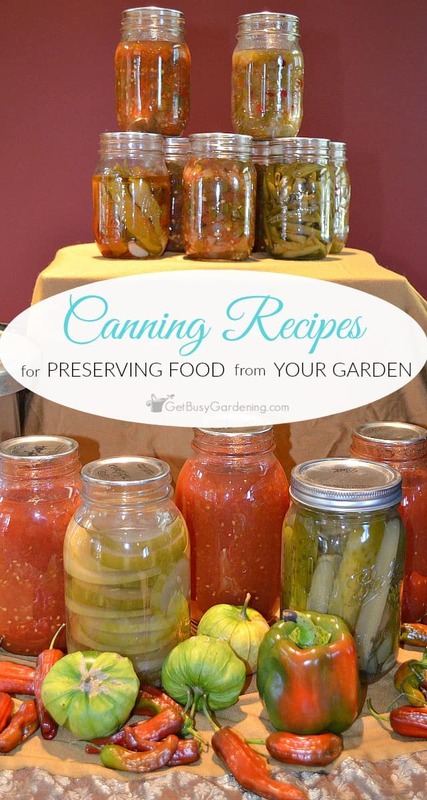 You should definitely give canning a try. It’s so much fun! I really need to branch out from salsa and spaghetti sauce.